Another early start, we had showered and breakfasted and away by 7:30 under a cloudless sky. It has been very quiet boatwise. We passed four in the morning and then none again all day. 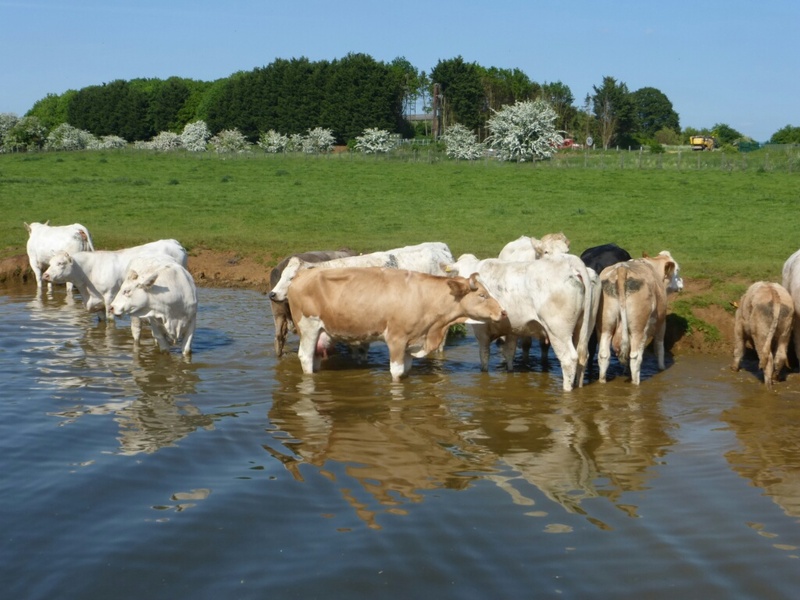 It has been very hot, even the cows were standing in the canal to cool off. Unusually there was some free mooring space in Thrupp so, as it was just after twelve, we decided to stop for an early lunch. An easy trip on through Kiddlington and then out through Duke’s cut to moor up on the Thames just above King’s lock. The evening was still very warm even though a few clouds had gathered. It was very pleasant just relaxing with a glass of wine and watching the terns swooping over the river.